Stuck in Toronto but craving a trip to Europe? 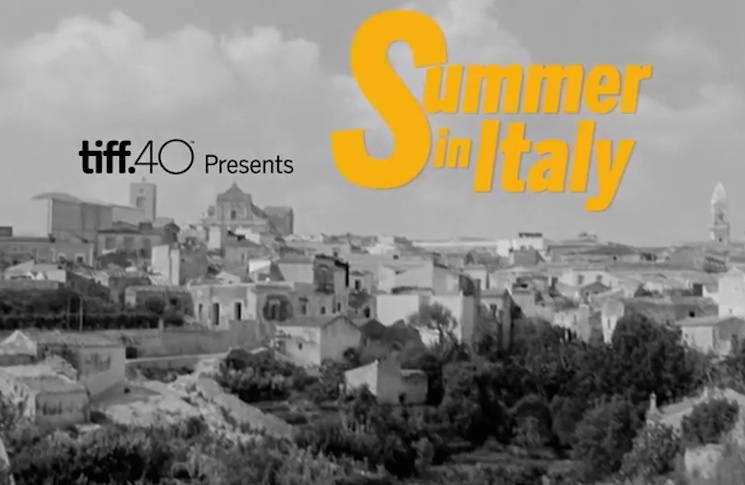 The TIFF Cinematheque has got you covered with the announcement of their Summer in Italy series. Titles include Rome, Open City, Amarcord, Il Sorpasso, Divorce Italian Style, Sandra, The Fiances, Story of a Love Affair, Red Desert, The Passionate Thief, The Assassin, Seduced and Abandoned, La Dolce Vita, Il Bidone, The Leopard, China is Near, Mafioso, Big Deal on Madonna Street, Fellini Satyricon, Hands Over the City, The Organizer, Cabiria, The Conformist, Stromboli, Fear, The Chicken a.k.a. Ingrid Bergman, Europa '51 and Voyage in Italy. As if that weren't enough, the series will also include an immersive retrospective of Italian filmmaker and actor Vittorio De Sica. Called More Than Life Itself, the retrospective will include 22 of De Sica's films. The retrospective will start one day before Summer in Italy, running from June 26 to September 6. For more information on Summer in Italy, go here. For more information on the Vittorio De Sica's retrospective, go here.